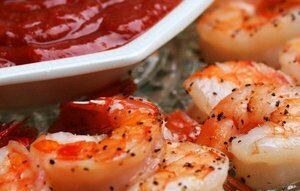 Shrimp and prawn are important types of seafood that are consumed worldwide. Shrimp and prawns are versatile ingredients, and are often used as an accompaniment to fried rice. Common methods of preparation include baking, boiling, frying and grilling.